This unit is used by most video productions and news anchors. 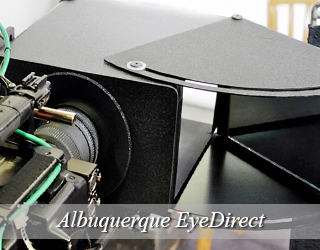 Our prompter sits on Our prompters can be set up on the tripod with the camera, or on a freestanding separate tripod in front of your camera. 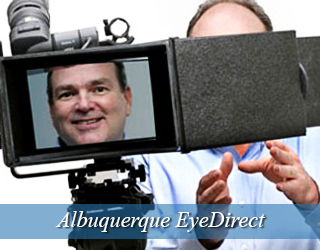 This unit enables talent to look directly at the camera while they read copy. 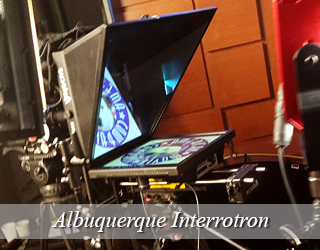 The Interrotron allows the talent to view the director while looking into the lens of a camera at the same time. 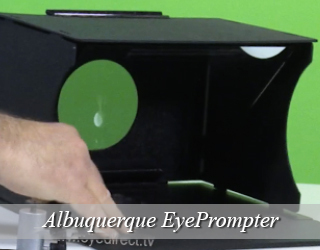 This device achieves the same effect as the Interrotron, but is a low cost, portable and easy to use option. 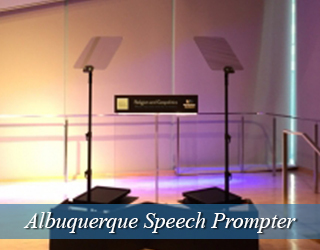 The Presidential Teleprompter is great for speeches give from behind a podium. We often deal with the United Nations and politicians. 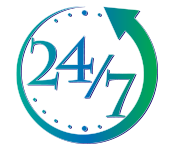 As well as many celebrities like Ryan Seacrest, Michelle Obama, George Clooney, and Heidi Klum have used our teleprompter. 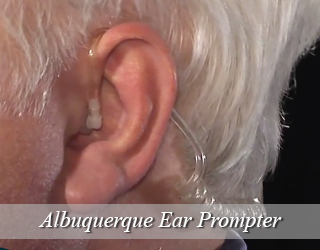 The Confidence Monitor allows the speaker to walk around the stage and even interact with the audience. The “flat screen” HD monitors are located around the venue and they can pick up any signal from a teleprompter. The amount of monitors depend on the size of the room and how many you need. The Podium Prompter is completely invisible to the audience because it is a thin screen located on the top of the podium. The speaker will occasionally look down at the teleprompter and it will look as if they are reading from their notes. Albuquerque, New Mexico was found in 1706 as the Spanish colonial outpost of Villa de Albuquerque. The diverse city still is filled with historical sites, adobe buildings and tribal history. The population is 559,277 residents. 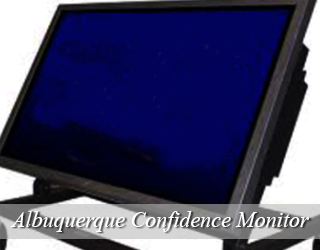 Albuquerque is known for being the home of high tech private companies, government institutions, and solar companies. 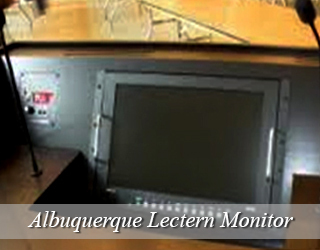 The University of New Mexico is also located in the city and is the largest public flagship university in New Mexico. The city is also filled with many bike trails and paths which make bicycle riding easier. 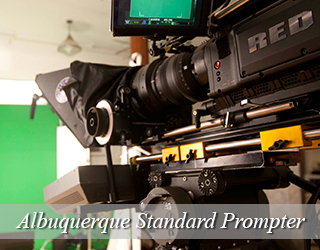 Many movies are filmed in New Mexico at the Albuquerque Studios. Some of the popular films are High School Musical and The Avengers. The best time to visit New Mexico is the first week of October because it hosts the annual International Balloon Fiesta which is a hot air balloon show with balloons from around the globe. Albuquerque, a complete surprise to me. A few years back I went to Santa Fe and fell in love with it. Now I find myself in its environs working on a TV series. I am a jack of all trades, as it were. 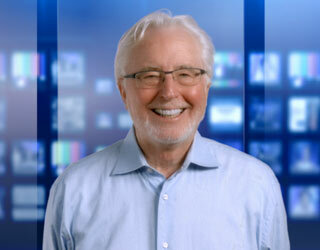 I function primarily as an associate producer and at times I work closely with talent as a teleprompter operator. My familiarity with this device comes in very handy. I have even gone out on jobs solely in this capacity. I establish a good rapport with people very easily. This disarms them, makes them trust me and ultimately they give a great read. I am here for at least months. Am always excited about what lurks around the corner. Teleprompter Rental and its services are available all over the country. So who knows where I’ll be next year! Can you believe these two? They get along, are kind to each other and I love them! Jaime graduated from UCLA with a degree in Acting for the Camera. She has appeared in numerous plays, short films and commercials. 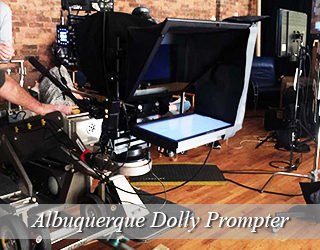 While on the set of a commercial, she noticed that there were some talent members that were not used to reading from a prompter, and decided to take a step and help them feel more comfortable in front of the camera. Her help dramatically improved their performance, and she realized that she enjoyed helping other people look and feel more relaxed on set. Jaime decided to become a speech coach, and has been helping both on screen and off screen talent perfect their dialogue and speeches. Her hobbies include watching football, going to the spa and caring for the office dog, (pictured below) Charlie. Ian Morrison never had much interest in film growing up, as he preferred to spend his days playing outside. Much to his own surprise, he discovered an interest in film in high school when a teacher played Fritz Lang’s Metropolis in class. Seeing the film sparked an interest in visual storytelling, and Ian decided to pursue a degree in Cinema Studies. To this day, Ian remains a great fan of Metropolis. Unsurprisingly, his own student films exhibited a heavy German Expressionist influence. Creating stories and assisting others in the process is Ian’s passion, and he channels this passion in his work with AMC clients. Knowledgable and kindly, Ian is a man you definitely want on your team! Alina Torres had worked with the company as a teleprompter operator for 3 years. She has experience playing multiple roles in the production process, from line producing, to DPing, to editing. 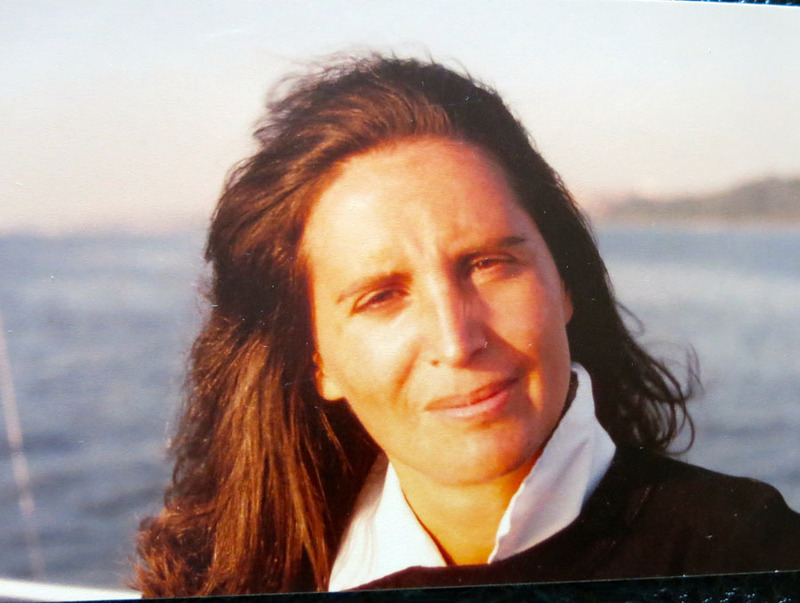 Her work has been featured in several film festivals across the country. When she’s not on set or working on preproduction, Alina volunteers her time to offer social media marketing and management assistance to small business to help them succeed. 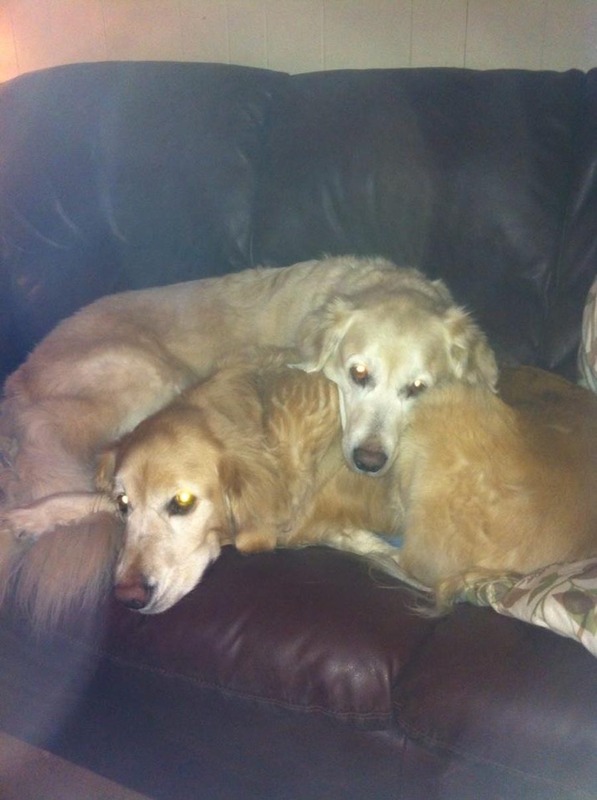 She is also the proud owner of Charlie, the office dog with an old soul and a big heart. The Albuquerque Convention Center is a multifunctional event space. Its main exhibition hall, which has 106,200 square feet of space, can also be converted into a sports arena. It hosts the University of New Mexico’s indoor track team and the Duke City Roller Derby teams. The convention center has two more exhibition halls, which each have 30,173 square feet of space. In addition to exhibition spaces, the building has 27 meeting spaces, a theater that seats 2,350, and a 31,164 square foot ballroom.